The survival of bees in the world is threatened and the extinction of bees is a serious threat to the human race too. Over the past few years, it seems that bees have a greater chance of survival in cities than in rural areas where they are heavily threatened by pesticides used in agriculture. 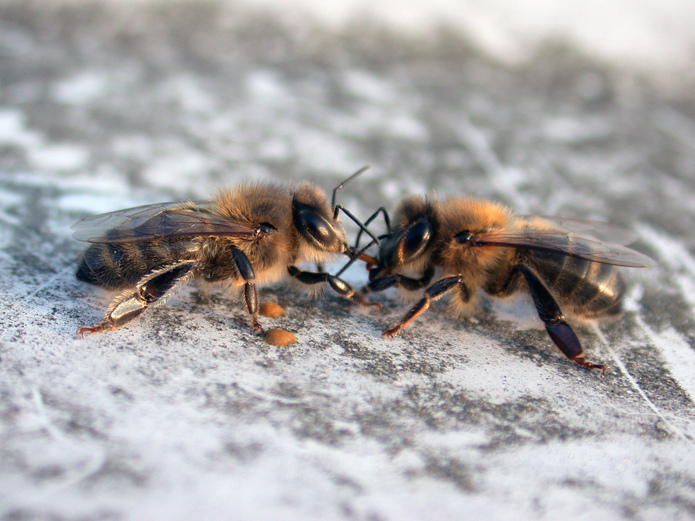 For this reason, this project aims to create a safety area, as a sort of haven for all species of bees on a roof in Staatsliedenbuurt in Amsterdam. 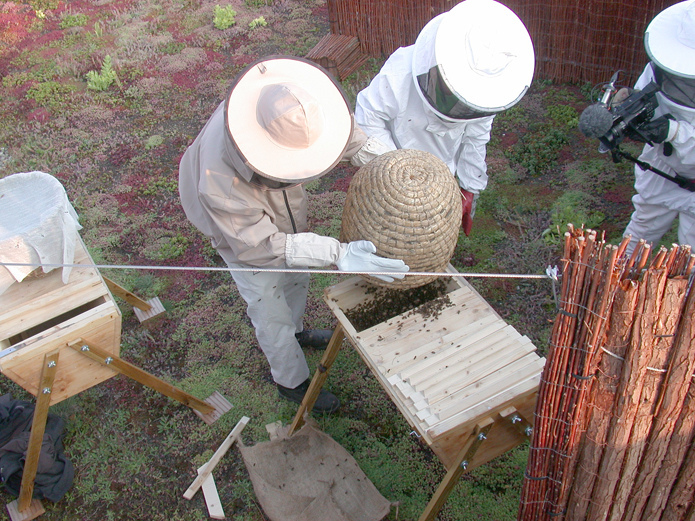 Here the bees are kept in a biodynamic manner using a holistic approach, and without chemical treatments. With the help of people in the neighbourhood, the project set up an exemplary case to be replicated and implemented in other inner city neighbourhoods, nationally and internationally. The Staatsliedenbuurt becomes a bee-friendly microclimate and a study ground. BeeCare Amsterdam engages in the neighbourhood with direct actions on streets, squares and parks. With readings on natural bee-keeping, workshops on making bee-hotels as nesting places for solitary bees and planting bee-friendly flowers are all part of the activities. Also, pushing for alternatives to the pesticides used in parks and on roadsides is part of formulating a manageable plan for a copy/paste manual.